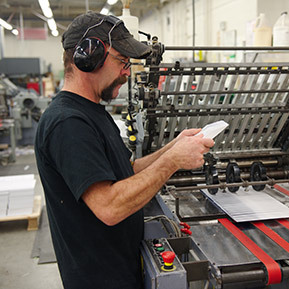 Our lead press operators are expert craftsmen, treating our jobs like it is their own. Color accuracy, quality, and end product come first. If you fit this description, with experience on 6-8-Color Heidelberg, we want to talk to you. All positions include the following Benefits - Great company, dedicated colleagues, fantastic product - every day, wonderful clients, the occasional celebrations of success, and Medical, Dental, Life, LTD, Vacation, Holidays, Personal time, 401(k) with match. The idea of sustainability starts with a belief in the future, with confidence and a commitment to progress and protecting the environment. Villanti has never been interested in short cuts or half measures - we've been looking to the future since the day our first shop opened in 1959.